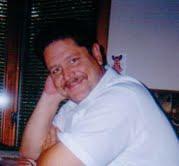 CONNEAUT - John W. ""Jack"" Tanner, 57, of Conneaut and formerly of Euclid, went home on Friday, Jan. 17, 2014. He was born the son of Ralph E. Tanner, Sr. and Rose A. (Shroyer) Tanner on Aug. 1, 1956. Jack enlisted in the United States Army, where he served honorably with the Military Police in Germany. Jack was employed at the Lake Erie Correctional Facility in Conneaut. Mr. Tanner was a member of Conneaut Loyal Order of the Moose 472 where he served in many offices. He was Past Grand Knight of the Knights of Columbus, Immaculata Council. Jack will be forever remembered as an amateur chef, especially his ""Hot Nuts."" He supported many charities and gave his time to many. Most of all he will be remembered for being active with his boys'' lives and the cherished moments he spent with his granddaughter, Amberly. Jack leaves to cherish his memories, loving sons, Joshua Tanner, Ian Tanner and Jesse (Sarah Brown) Tanner; parents, Rose and Ralph E. Tanner Sr.; granddaughter, Amberly; sister, Lee Ann Tanner; brothers, Ralph E. (Ruth Ann) Tanner Jr., Steve Tanner, Jeff (Marcia) Tanner and Paul (Pam) Tanner; and many nieces, nephews, and friends. A celebration of Jack''s life will be held Wednesday, Jan. 22, 2014, at the Conneaut Moose Lodge, 280 Park Ave., Conneaut, where friends may gather from 6 to 7 p.m. A time to eulogize Jack will follow the gathering at 7 p.m.
A memorial mass will be at 10 a.m. Thursday, Jan. 23, 2014, at St. William and Robert Catholic Church, 367 E. 260th St., Euclid. He will be laid to rest at Western Reserve Cemetery. In lieu of flowers, the family asks that donations in Jack''s name be made to the Tommy Moose Project, c/o Conneaut Loyal order of Moose Lodge No. 472, 280 Park Ave., Conneaut, OH 44030.